This should provide some interesting discussion, as there are really a few things to note here. 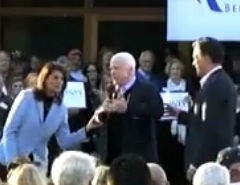 One is John McCain seemed to have vigorously defended Sarah Palin in his recent interview with the BBC. To his credit, Halperin points out that McCain’s defense is justified, and that his conclusions about Palin’s effectiveness as a candidate are right on. More, Halperin discusses the question of Sarah Palin’s overwhelming reception by the crowd at CPAC, and how this is effective evidence of Governor Palin’s understanding of the conservative base of the party. 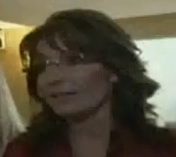 The other tidbit to be examined is the very brief discussion of another video clip of Sarah Palin discussing brokered conventions at CPAC, different from the other I provided Saturday. Of course, notable is how Andrea Mitchell tries to minimize her statement as a “tease,” and suggesting that McCain defended Palin only because he was “dancing with the one who you brung,” or some nonsense, but as Halperin points out aptly, this is certainly a case supported by the facts: She energized the party more than any other McCain could have added to his ticket, and I daresay, more than McCain himself. As I said, I’m reporting this to you because it is news, and I am personally fascinated by it, but as one commenter opined, we shouldn’t get our hopes up over this. A brokered convention has all sorts of dangers as another comment suggested, and to go off down that trail may not serve us at all. There’s no telling how such a thing could come out in the end, but I’ll admit this much: It certainly does put a little more of an unknown into this whole race. 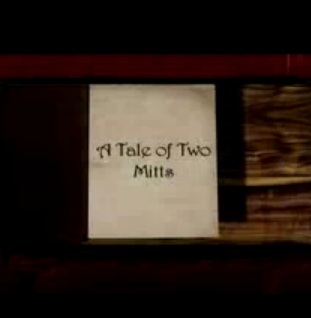 Ooopsie: Romney’s ’08 Campaign Video Surfaces! Okay, Maybe Not the "ONLY"
This is comical, because Romney’s campaign has been scrubbing their ’08 anti-McCain ads from all over the Internet, now that they have the long-serving Arizona Republican’s endorsement for 2012, but apparently, they forgot to scrub their Myspace page, and before they shut this down, you may want to take a look at how they clobbered McCain in 2008, as they now do an even greater distortion in media against Newt Gingrich. This video probably won’t be up much longer, but here’s Romney bashing the guy who he is now carting around on his campaign. If, as the ad contends, McCain had been Democrats’ favorite Republican, what then can we say about Romney now that the two are so tight in 2012? Flashback: Are the Post-Defeat Planners Still In Charge? It was just a week shy of the 2008 election, and The American Spectator was on the job. Their Washington Prowler column included some interesting tid-bits we might be interested to recall as we rush head-long toward an “inevitable” Romney coronation as the party’s nominee to face Barack Obama in 2012. The important part of this column on 27 October, 2008 included the subheading “Romney anti-Palin.” A diligent reader reminded me of this story, and so with increased interest, I now pass it along to you. The gist of it was that Romney’s campaign crew, some of them employed by McCain-Palin after Romney’s nomination defeat, were working frantically even in advance of the 2008 election to undermine Palin’s future prospects because they saw her as the biggest obstacle to a Romney coronation in 2012. 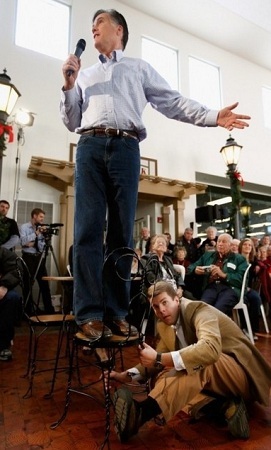 Of course, the truth with Willard “Mitt” Romney is that there is always somebody propping him up, or doing his dirty work so he can remain cleanly unconnected to all the behind-the-scenes dirty-work that goes on. He’s admitted that he’s fine with dirty political ploys, effectively arguing “that’s the way it is,” and the expedient reflexes of Romney’s campaign style may yet work. There have been suggestions by some that Romney actively tried to undermine McCain after losing the nomination fight with him in 2008, actually working to see to it that McCain-Palin would not be elected in order to have an opportunity again in 2012. While that may be a bit of a reach, and surely more difficult to substantiate, what’s clear is that the Romney crew did seek to take Palin out of the presumed contender’s spot in 2012. That’s pretty rough, and exceedingly presumptive with respect to 2012. The fact that this Machiavellian lot was already working to overcome any Palin candidacy at least as far back as October 2007 certainly says a good deal about how far they were (and still are) willing to go to rig things in their candidate’s favor. Some of you will remember Kathleen Parker and her snide column acknowledging the existence of God because Palin had decided not to run, but what you must remember about Parker is that she had been a Romney supporter all along, as this bit of excellent journalism by Alec MacGillis demonstrates. This demonstrates part of the problem with some members of the press: They may never disclose whose axe they’re grinding when they commence the stone to turning. Of course, Parker was hardly alone, and certainly not as much an insider that others involved in this little plot had been, including Kevin Madden, Romney’s 2008 Campaign Spokesman, who was out blasting Palin on the eve of the 2008 election. So where is Madden today? He works for JDA Frontline, the outfit that laid the groundwork for Romney’s South Carolina insurgency. Erick Erickson of RedState fame even talked about this, but at the time he wouldn’t, in his own words, “put the finger on Romney” and thought it was merely some of Mitt’s staff. I wonder if now that Romney’s essentially using the same people, if Erickson might change his view. On the eve of the New Hampshire primary, with Romney the overwhelming favorite, it might be useful also to recall this article in RealClearPolitics, when back in 2008, McCain was upset with Romney for dropping large piles of cash into television ads that his less-wealthy rivals had not the money to refute. Romney has repeated this tactic with precision by doing the same to Gingrich, throughout the month of December, driving Newt’s numbers down, and Gingrich without the cash to respond. Of course, the big target where Romney’s supporters have been working overtime is South Carolina, where Romney picked up the endorsement of Governor Nikki Haley. Haley has been working for Romney’s campaign, making many joint appearances with Romney and generally carrying his water, and yes, there are rumors she’s on Mitt’s short-list for the VP job, or other cabinet posting, and it would make sense as her re-election bid seems less than certain at this point. In any case, expect Romney to press hard for South Carolina, and expect him to continue to hammer on his opponents on TV, whose advertising budgets aren’t large enough to refute the dishonesty Romney and his pals are spewing. Romney likes to point out that “that’s politics,” but I’d remind my fellow conservatives that this business cuts both ways. If a man thinks it is permissible in American politics to lie about one’s opponents because that opponent is less able to effectively respond, this should tell you something about the nature of that man’s character. What is all too clear is that Romney is willing to damage anybody he needs to harm to win, by whatever means necessary, and we’re well past the point of chalking this up to rogue staff. True, Romney is an expert at the art of compartmentalizing himself away from direct linkage, but let’s be blunt: We all know what Romney’s up to and we all know he’s an “ends justify the means” kind of guy. 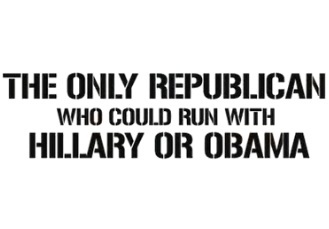 New Hampshire voters should be reminded of this as we head into that state’s primary. but conservatives in particular should be reminded that this guy plays dirty, and if he’ll do so with people he pretends to like, there’s no telling what betrayals he has in store for you. This is sickening. This is what you get with the RINO set. This is why if Romney does get the nomination, he will lose. Big time.